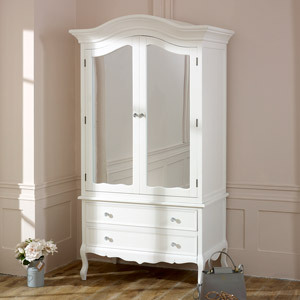 White 6 piece bedroom furniture set in vintage French style. 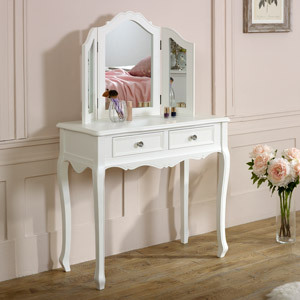 Glam, luxury with large chest of drawers, dressing table with mirror & stool and pair of bedside chests. 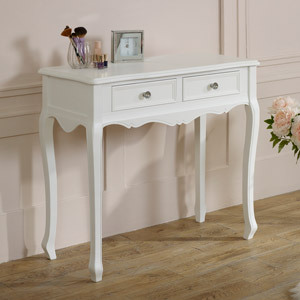 Elegant Victoria Range with matching furniture available. 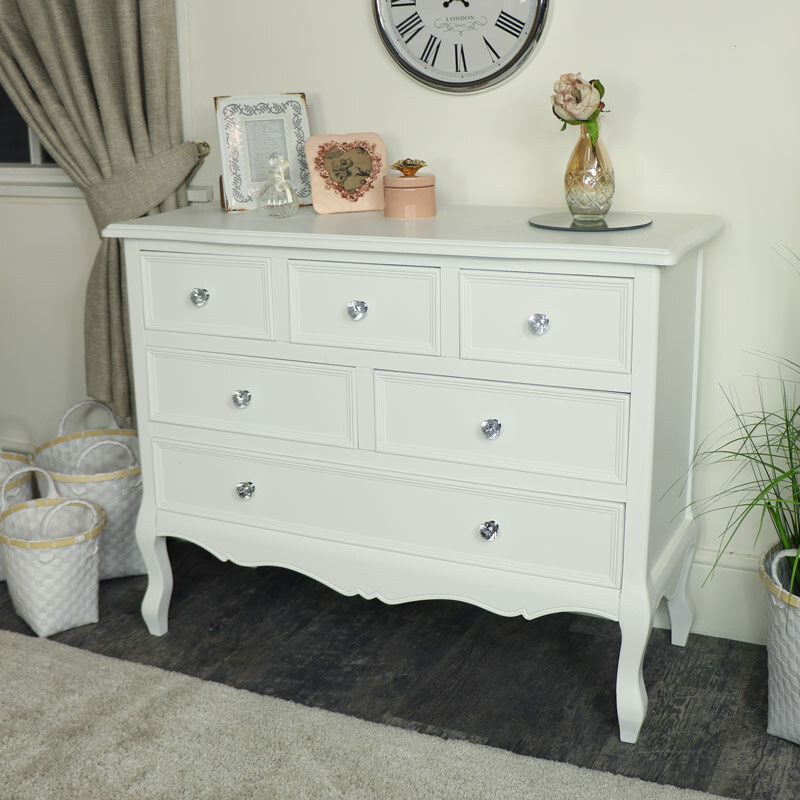 Offering excellent style and planty of storage with 6 drawer chest, pair of bedside tables and dressing table with tabletop vanity mirror and grey velvet upholstered stool. 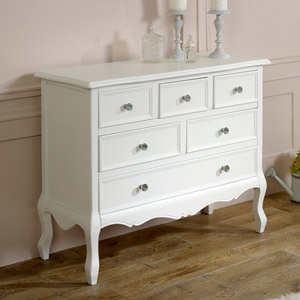 Painted in a white satin finish that adds to the stunning elegance of this this furniture. Ideal for any colour scheme and will suit most interiors. 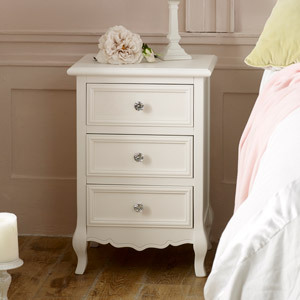 White 6 piece bedroom furniture set in vintage French style. 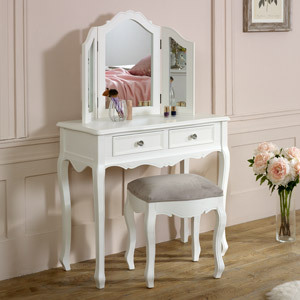 Glam, luxury with large chest of drawers, dressing table with mirror & stool and pair of bedside chests. 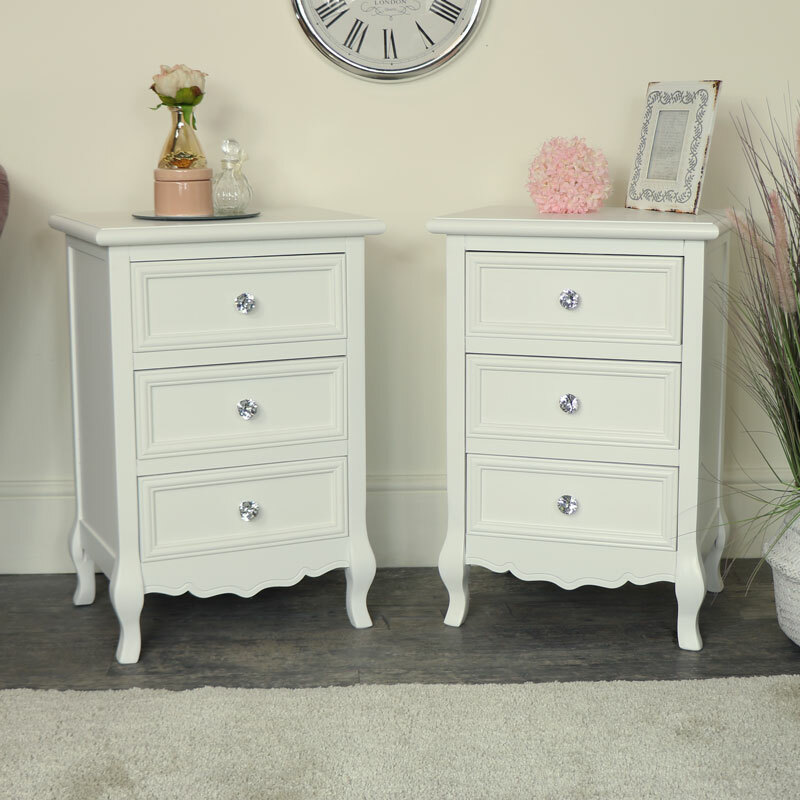 Elegant Victoria Range with matching furniture available. 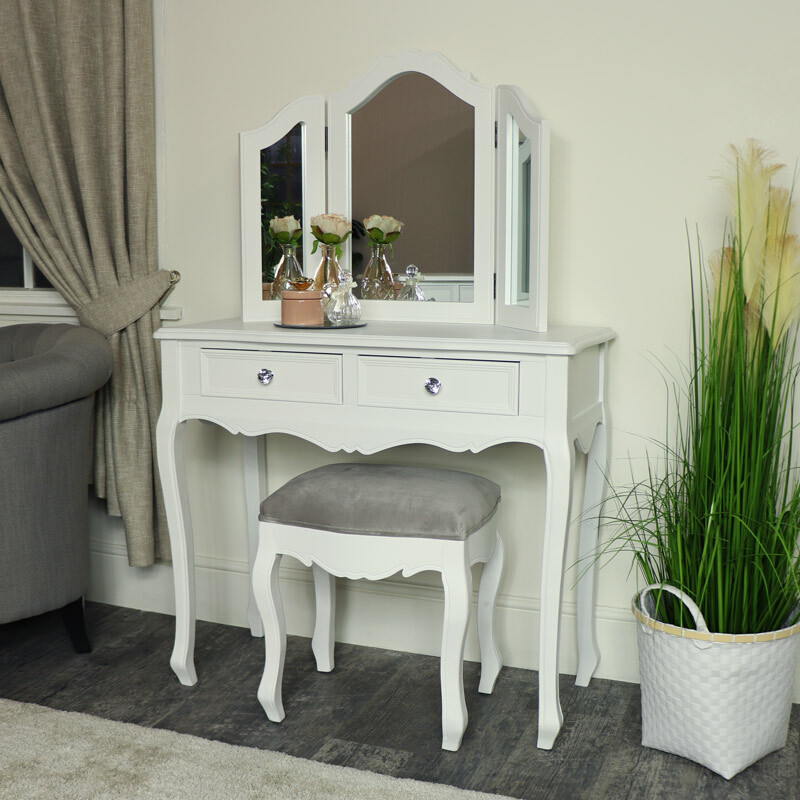 Offering excellent style and planty of storage with 6 drawer chest, pair of bedside tables and dressing table with tabletop vanity mirror and grey velvet upholstered stool. 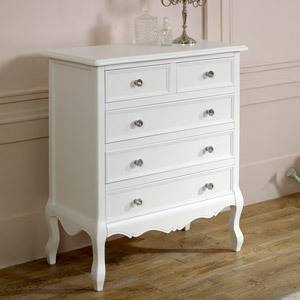 Painted in a white satin finish that adds to the stunning elegance of this this furniture. 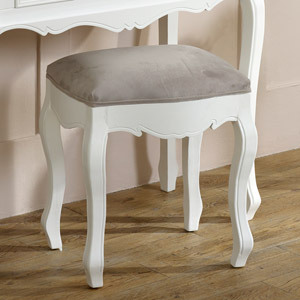 Ideal for any colour scheme and will suit most interiors. 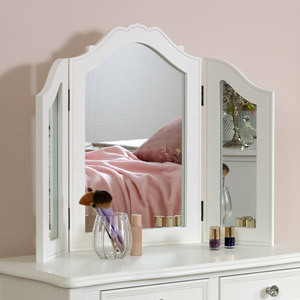 Made from wood in a white satin finish. Assembly is required on the dressing table with just the legs to attach, the rest of this fabulous set comes fully assembled and ready for use.